Henry I was King of England from 1100 to his death in 1135. He was the fourth son of William the Conqueror and was educated in Latin and the liberal arts. He was present when William II died in a hunting accident in 1100, and he seized the English throne, promising at his coronation to correct many of William's less popular policies. Considered by contemporaries to be a harsh but effective ruler, Henry skilfully manipulated the barons in England and Normandy. In England, he drew on the existing Anglo-Saxon system of justice, local government and taxation, but also strengthened it with additional institutions, including the royal exchequer and itinerant justices. Normandy was also governed through a growing system of justices and an exchequer. Many of the officials who ran Henry's system were "new men" of obscure backgrounds rather than from families of high status, who rose through the ranks as administrators. 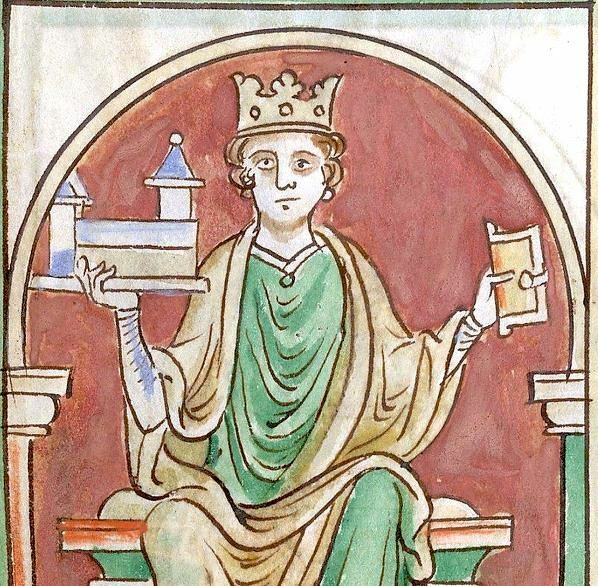 Henry's son and heir, William Adelin, drowned in 1120, throwing the royal succession into doubt. Henry declared his daughter, Empress Matilda, his heir and married her to Geoffrey of Anjou. Henry died on 1 December 1135 after a week of illness. Despite his plans for Matilda, the King was succeeded by his nephew, Stephen of Blois, which led to civil war.